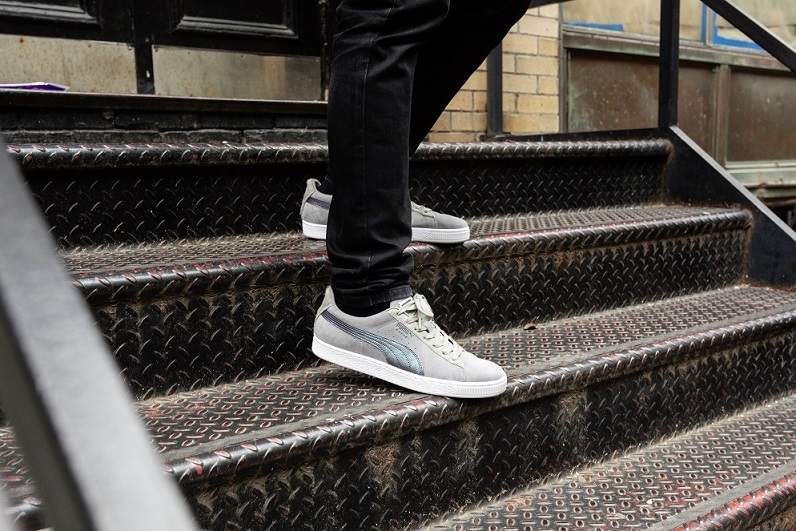 All in the midst of heat releases, PUMA has tapped longtime collaborator Jeff Staple for another sequel to the Pigeon collab back in 2013 and more recently, 2016. The story of the Pigeon is an interesting one. While we don’t usually encounter with pigeons here in Malaysia, they’re ridiculously ubiquitous in Manhattan that holds a heavy meaning to the citizens there. To them, the pigeon is a reminder of the gritty resilience of New Yorkers. Much like the pigeon, New Yorkers are survivors, and the bird that can survive horrible weather conditions, eat whatever is thrown at it, and still live, is very much a reminder and homage to that spirit. To bring forth the template of the bird, A frost gray suede upper is decked out with gray laces and pony hair heels. An Ombre coloured Formstrip reflects the iridescent accents on the bird, finished off with Georgia peach highlights. Colour blocking is spot on this pair, and for the ones that desire even a fraction of the pigeon magic, this is the one to get. The shoe also comes with an extra set of peach laces for if you want an extra pop of colour. The Jeff Staple Suede 50 is available now at PUMA KLCC, Sunway Pyramid, Pavilion, Aeon Terbau City, Mid Valley, and Genting Sky Avenue for approximately RM 460. Drip, or skip?